Very rarely does an album have an intense emotional effect on me. I could name a select handful of all the albums I own and call them life-altering or groundbreaking in my own personal development. Peter Hammill's Over, though, has had probably the most profound effect on me out of all the albums I own. I first got it because I knew Hammill from a few of his previous solo albums and Van Der Graff Generator, I listened to it casually and without really letting it all sink in, as its lyrical concept was something I was not experiencing in my life. As I look upon the album now, I can surely say that I've lived this album and at some point in the last year or so I have felt everything expressed on this album, and I know the pain and anguish that Hammill had been through nearly 30 years prior. The fact that its musical content was also of the same intensity and cynicism for humanity only helped strengthen the point of what Hammill was pouring out to his listeners with the utmost sincerity. 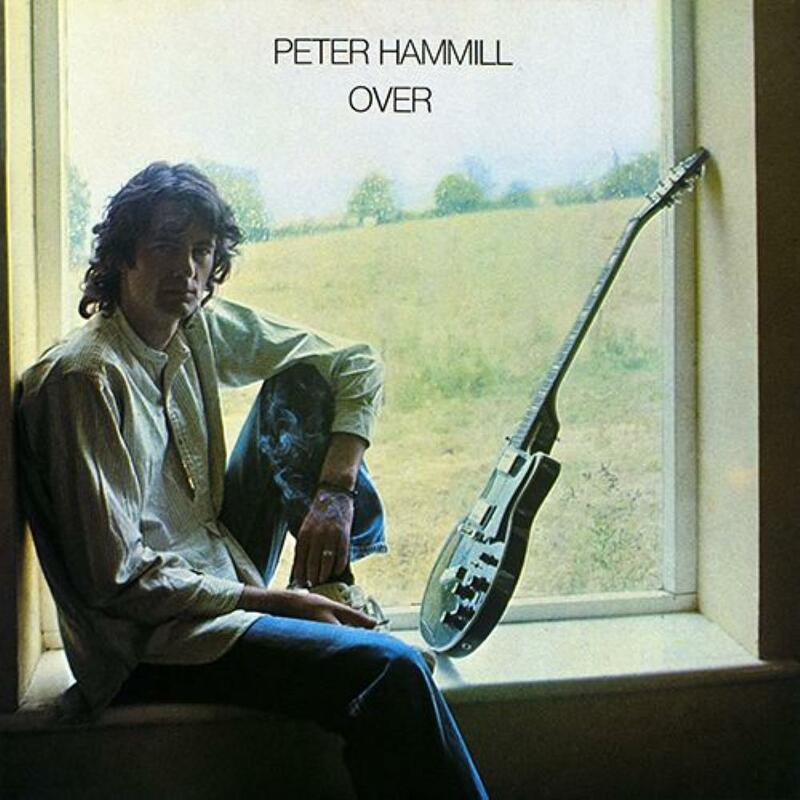 This primarily acoustic album shows Hammill at his rawest and most spiteful. Songs like Crying Wolf and Betrayed create webs of malaise and despair while cutting down yourself and everyone around you. Hammill bites his way through these songs with sneering, piercing vocal performances that cut through the listener like tiny razorblades. At the same time, the album contains charmingly beautiful melodies and somber, despairing moods with pieces like (This Side of) The Looking Glass and Autumn. Hammill's tasteful choice in diversity and creating peaks and troughs in intensity help convey the overall message of the ups and downs of regret, love, loss, despair, isolation, and loneliness. For the most part, though, the songs that I found so entrancing were the two longer pieces on the album. Time Heals is Hammill's story of love and loss, his regrets and woes of losing the only person he loved in the world, and his intense reflection back on what he had. Musically, the subtle use of synthesizers during key buildup moments adds an eeriness to the overall vibe of the piece. Finally, Lost and Found is the big realization of the album. If there's one song that I can say I wholly relate to, it is this piece. References to La Rossa and a moody, eerie outro help drive out the final vocal call of, Everything is going to be alright? It would be unfair of me to say that I had given this album a completely objective overview and sufficiently ruled out the pros and cons of it. But when I listen to this album, Hammill reflects upon me a situation in his life that I most certainly relate with, and still somewhat do to this day. In any case, Over by Peter Hammill is an intense, emotional album that reaches out to the listener's heart and pleads for mercy. It's a rare treat for me to feel so strongly about an album, for very few in the past have really gripped me like this one. There is no doubt in my mind that Over is Peter Hammill's strongest outing, a true masterpiece in his extensive catalog.